The importance of health insurance in India is a well-known fact. Indian consumers are more or less familiar with the concept of health insurance in India and how it works. And, there is no dearth of health insurance policies in India as well, so what's stopping people from buying health insurance in India and staying financially protected? The selection of the right health insurance cover seems to be the most tedious task. Since, people have varied medical needs, the choice of health insurance policy bound to vary as well. 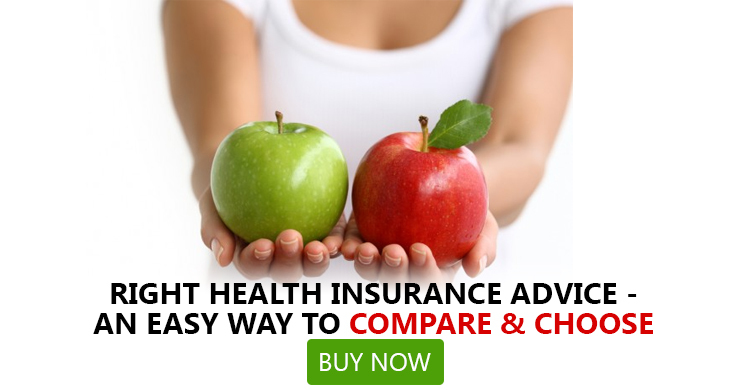 Online health insurance comparison is the key to find the best health insurance in India. Again, health insurance plans are complicated products as there are many aspects to keep account of. On what basis a common man should compare health insurance in India? Here are the main facets of health insurance in terms of which you need to compare health insurance policy and choose the best health insurance plan that fits your budget and meets your needs. Medical insurance covers come in various types to cater to varied medical expenses. You need to understand your requirements prior to choose any particular type of mediclaim insurance in India. Most of us are fine with paying for nominal and regular charges such as fees for doctor's visits, medicine bills and the likes. What usually have us ripped off is the massive hospitalization expenses so we should look to avail that health cover which takes care of expenses that we can't manage ourselves. Therefore, your ideal choice would a basic indemnity plan that cover hospitalization and related costs such as expenses before and after hospitalization, charges for surgery, day care, room rent and the likes. Going forward, if any serious condition starts to develop you can consider health insurance plans that offer fixed benefits. There are various critical illness policies in India that provide fixed benefits when the policyholders are diagnosed with any of the critical ailments covered in the policy. At a later stage you can also consider riders and top-up health insurance plans. These covers enhance the already existing protection at a nominal cost. The coverage amount is also known as the Sum Insured. Basically, it means that up to this amount your expenses will be covered. Since you cannot predict your medical expenses 15-20 years down the line from now, it is safe to opt for a health insurance plan with maximum sum insured. You should compare health insurance plan in India on the basis of the coverage amount and select the one which you can continue paying premium for. Some medical insurance plans come with the scope for increasing sum insured later. But, these plans come with a lot of restrictions such as medical test requirement. Therefore, you should steer clear of those health insurance plans and focus on regular health policies with substantial coverage. While it is worthwhile to check your premium-paying capacity while finding out a policy with sufficient coverage, premium should not be a deciding factor. Health insurance covers with lower premium are a strict no – no as you might miss out on coverage against significant expenses and services which will trigger your out-of-pocket expenses. You might have to pay double the amount in time of an emergency of what you save by selecting a cheap health insurance policy in India. Many health insurance policies in India come with a maximum renewal age beyond which the plan ceases to have effect. This condition is not favorable for policyholders as the chance of falling sick and requirement of medical treatment increases in advanced age. Hence, it is crucial to stay covered in the ripe old age and fight out the exorbitant medical expenses efficiently. Therefore, you have to compare health insurance plans and trace out a health cover with lifetime renewal. If you choose a health insurance plan with high sum insured and think that you are covered against expensive treatments for all diseases you have made a costly mistake. Most medical insurance policies impose a an upper limit on treatments of various diseases such as maximum Rs. 2 Lakhs for cardiac diseases, Rs. 50,000 for cataract operation. You should always avoid such health covers as they defeat your purpose behind opting for high sum insured health insurance policy and paying high premium. You should, therefore, compare health insurance in India in terms of these annoying limits and find out a plan without such limits. Apart from the disease-specific limits, many medical insurance plans also thrust limit on room rent and many other expenses. Again, you need to compare health insurance plans online and filter out mediclaim policies with any sub-limits. The huge profusion of online health insurance policies in India is made possible by over 25 providers. There are providers of all sorts of general insurance policies, life insurers with their offering of health covers and stand-alone health insurance companies in India. All these providers are not equal in terms of financial strength, stability and performance in settling claims. So, you have to compare health insurance companies in India in terms of track record and select the most credible provider. One of the prime reason why many people avail health insurance in India is to avail cashless treatment facility. However, this facility is available only in the selected hospitals in the network of the health insurance companies. If you avail a health cover that doesn't have a network hospital in your vicinity you won't get the cashless treatment facility. What you can do in this situation is compare health insurance online and see which plan facilitates you with a network hospital in your locality. Aside from the regular coverage on offer, most medical insurance policies provide policyholders with some specialized coverage and benefits like maternity expenses cover, alternative treatment cover, restore benefits and critical illness cover. If you want to avail any of these benefits you can compare health insurance plan in India in terms of additional services on offer. You will make the most of the benefits provided by your health insurance in India in later years. But you have to pay for premium from the year you avail the policy. Since, it is a long-term investment, you need to ensure that you are not wasting your hard-earned money for an expensive health cover with irrelevant features. At GIBL.IN, you get to compare best health insurance at the lowest possible price. You simply have to put in some basic information to get a list of top health insurance plans in India.